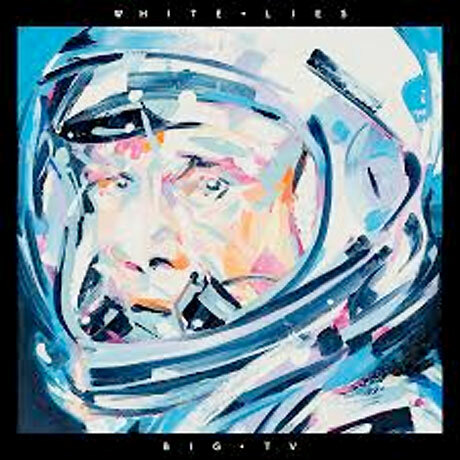 British post-punks White Lies have previously released the albums To Lose My Life... and Ritual, but they've chosen a distinctly more lighthearted title for their upcoming third LP: Big TV. It's out on August 20 through Universal Music Canada. The album was recorded earlier this year in Brussels. The first proper single will be a song called "There Goes Our Love Again," but in the meantime, the band have shared a cut called "Getting Even." That characteristically gloomy and '80s-influenced dance rock cut is streaming at the bottom of this page. The tracklist is also below. The album cover is above. Big TV will be available in standard CD and 180-gram vinyl formats, and as a deluxe double CD hardback book. This expanded version comes with seven demos of songs from the album plus photos from the recording sessions.